“Working alongside Castle Development Group and the Wise Health System teams to see this project come to life has been a great privilege,” said Corbett Nichter, Regional President, AP. AP completed construction of the new 44,782 square foot single-story, ground up ambulatory surgery center complete with an emergency department and full-service imaging including MRI, CT Scans and X-Rays. The grand opening reception offered live music and facility tours including demonstrations from medical representatives using some of the most advanced surgical equipment available. Owned by Wise Health System, developed by Castle Development Group and designed by Mike Hale Architects, the new hospital also provides six surgical suites and twelve patient beds and maintains a primary focus on orthopedics and spine surgery. Architectural features include a drive-up porte-cochere, an inviting, spacious lobby and reception area, and the campus also houses a Fit-N-Wise physical therapy facility and other medical offices. The Wise Health Emergency Center & iCare Urgent Care was also built on-site during the last six months of hospital construction which provides residents of the surrounding area immediate medical services. Wise Health Surgical Hospital, affiliated with Wise Health System, provides local communities easy access to a dedicated surgical facility. Surgical hospitals are equipped with the most advanced technologies offering convenient scheduling with a specialized nursing staff focused on personalized care. Wise Health System provides inpatient and outpatient services to multiple locations, including hospitals, primary care and specialty clinics, physical therapy and rehabilitation centers, imaging centers and bariatric surgery program offices. With more than 1,900 employees, Wise Health System continues to be the largest employer in Wise County. 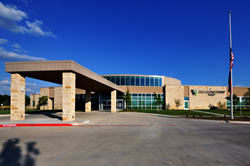 Wise Health’s affiliation with Baylor Scott & White Health allows Wise Health System to access resources from one of the most highly regarded health care systems in the world today, maximizing the delivery of health care in the North Texas. For more information, please visit: https://www.wisehealthsystem.com/.